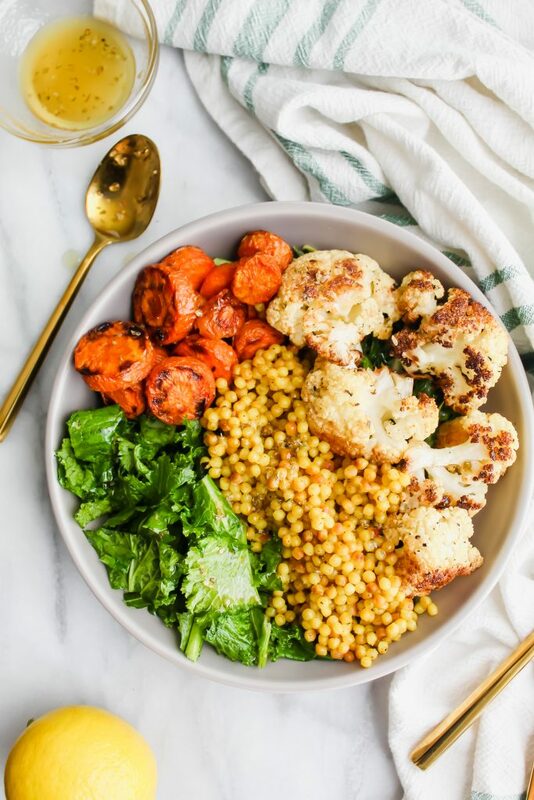 These Winter Vegetable Buddha Bowls are filled with feel good ingredients like curried couscous, garlicky lemon greens, sweet roasted carrots and crunchy roasted cauliflower. 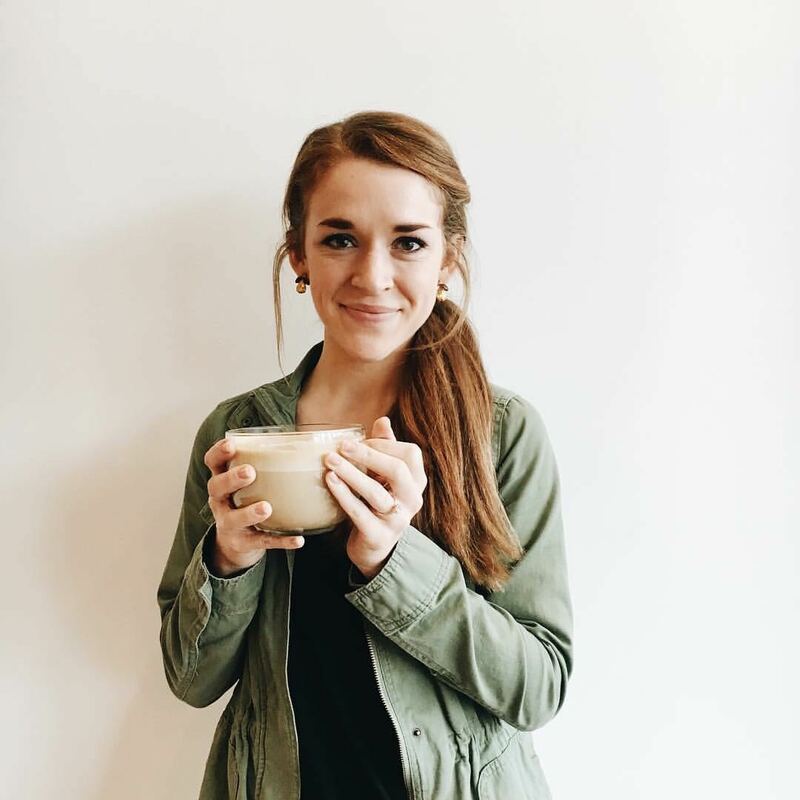 So nourishing and SO good! 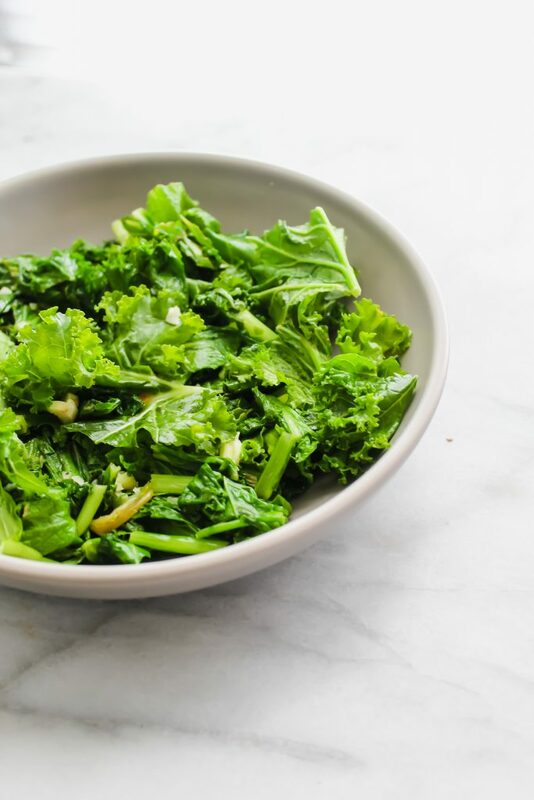 I’m a sucker for any type of “bowl.” I know it’s the new trend but I really do love basically cleaning out my fridge, taking all the veggies I have, roasting them, putting them on a bed of greens, adding a delicious carb and I’m done. It’s delicious and most of all EASY! has so many SEASONAL ingredients used! it’s just plain GOOD, y’all!!! Go ahead and preheat your oven to 400. Dice your carrots into coin sized pieces and place on a sheet pan in a single layer. Dice half a head of cauliflower into florets and place them on the pan in a single layer as well. Drizzle generously with olive oil until coated and roast them for around 20-25 minutes, flipping halfway, until they’re tender, caramelized and delicious! In the meantime, add your Israeli couscous to a medium sized pot. Add your curry powder, turmeric powder, salt and pepper directly to the couscous and toast for 1-2 minutes. Slowly add in boiling water to the pot. Stir everything together cover the pot and cook. Cook on low for 6 minutes, stirring occasionally. After 6 minutes is up, take it off the heat, but leave it covered for an additional 4-6 minutes before serving. Next, mince up your garlic. To a pan, add a drizzle of olive oil and heat on medium. Once it’s hot, add in your garlic and cook for 1-2 minutes. Then, add in about 3 cups of your choice of greens. Salt and pepper to taste! 3 cups may seem like a lot but I promise they shrink down SO fast LOL. Once your greens have wilted (it shouldn’t take long), squeeze half of a lemon directly on the greens. 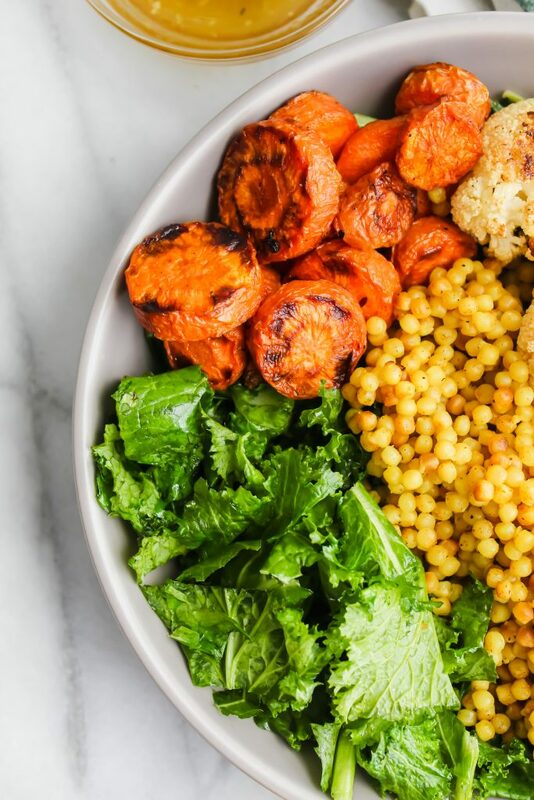 Once all of your individual components are ready – assemble your buddha bowls! On the bottom, I added the greens, then added a few scoops of the couscous followed by the roasted veggies. I love adding another squeeze of lemon on top of the bowl as well as red pepper flakes, a dusting of salt and an extra dash of olive oil. SO GOOD!!! Eat while warm! sub sweet potato for cauliflower or the carrots. I would’ve added sweet potato to this bowl but for photography purposes, I didn’t want two orange veggies. fry an egg to put on top for extra protein! top with crunchy green onions for extra spice! Hope y’all enjoy this delicious seasonal delicious bowl of nourishment! Happy Friday, my friends! Preheat your oven to 400 degrees. Chop your carrots into bite size coin pieces. Spread into a single layer on a baking sheet. Chop your cauliflower into florets and place those in a single layer on the other side of the same baking sheet. Generously drizzle olive oil and salt and pepper and use your hands to make sure they are coated. Roast for 20-25 minutes, flipping halfway until they are tender and delicious. In the meantime, make your couscous! In a large pot, add 8 oz of dry couscous. Add in your curry powder, turmeric powder and salt and pepper and mix. On medium heat, toast the couscous with the spices for 1-2 minutes and then slowly add in boiling water. Stir to combine. Cover the pot and cook on low heat for 6 minutes, stirring occasionally. After the 6 minutes are up, take off of heat but keep pot covered for additional 4-6 minutes. Lastly, mince your garlic. To a non-stick skillet, add a drizzle of olive oil and let it heat on medium heat until hot. Once hot, add in your minced garlic and cook for 1-2 minutes, stirring occasionally. To this, add in 3-4 cups of mixed greens. Add salt and pepper to taste and let them wilt, stirring, for 1-2 minutes. Once cooked and wilted, squeeze the juice of 1/2 of a lemon on top. Once all of your components are done, assemble your bowls! 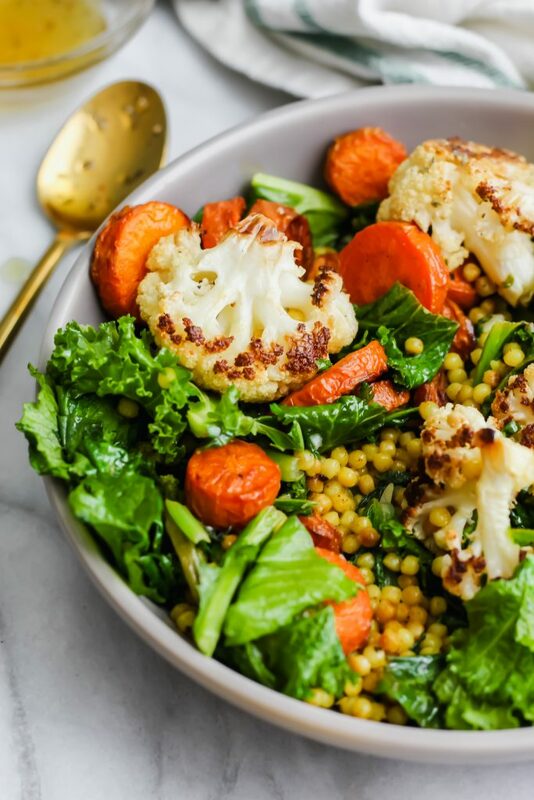 Add your greens to the bottom of a large bowl, followed by your couscous and roasted vegetables. Squeeze the other half of the lemon on top, add a drizzle of olive oil and red pepper flakes. Eat while hot! Enjoy! 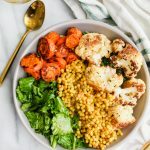 I’m all about the roasted veggie bowls too! Throw in some greens, and it’s the perfect meal prep meal! Love that you added couscous here. I think that’s an often overlooked ingredient, but it’s so perfect for salads and bowls like this! Oh yes! 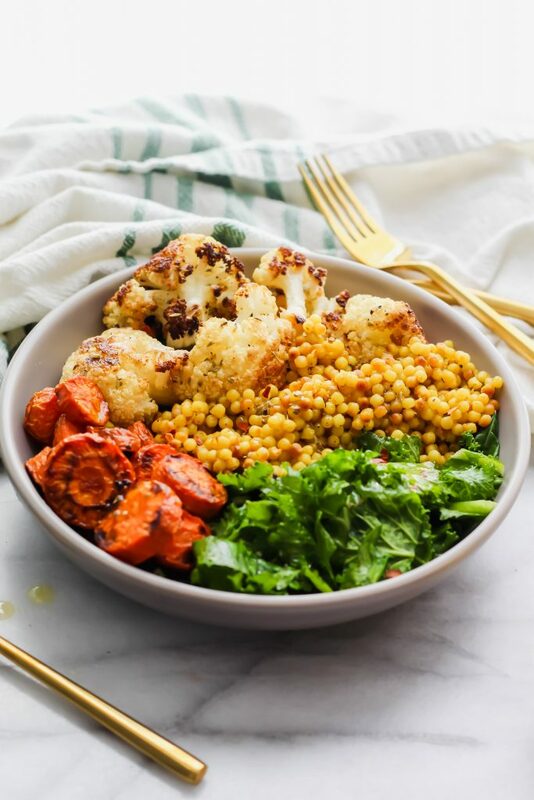 They’re such a good way to get lots of veggies in your diet – adding in the delicious couscous makes it easier too 😉 Thanks Leanne! Happy Monday!! Thanks, Taylor!!! 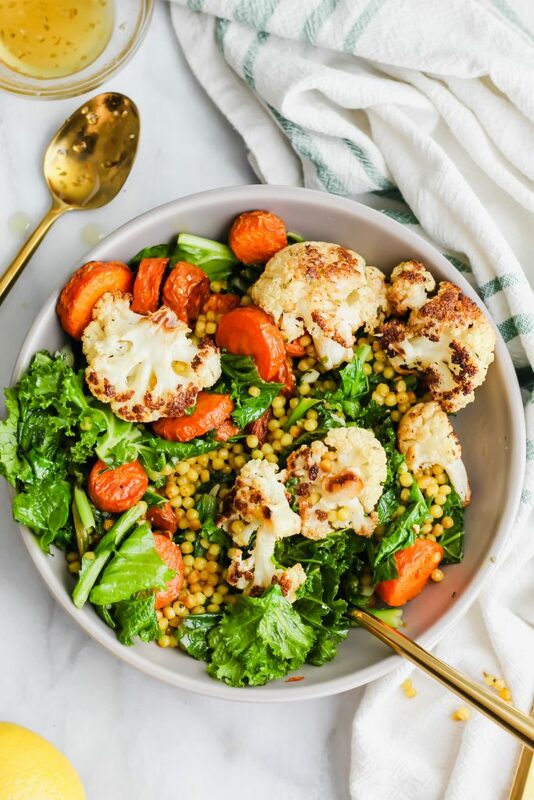 Roasted cauliflower is hands down one of my favorite vegetables! Hubby and I regularly have ‘bowl’ dinners. Love ’em because you can basically throw whatever odds and ends are in the fridge in there and end up with a delicious dinner! Yours looks absolutely scrumptious, particularly that cauliflower. Love those roasty, crispy bits – my fave! Yes! I love “clean out the fridge” meals…you can usually find some pretty good stuff hiding in there! LOL! Thanks, Dawn! 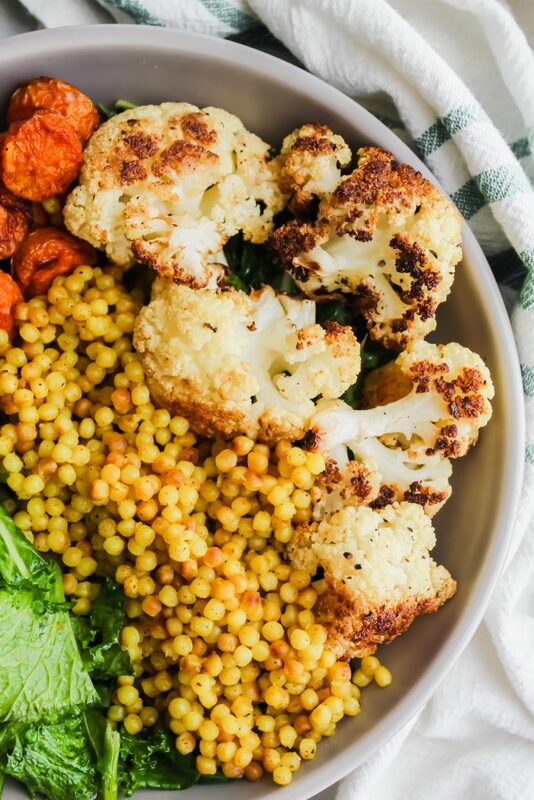 And yes – the crispy cauliflower bits are my absolute favorite as well! !